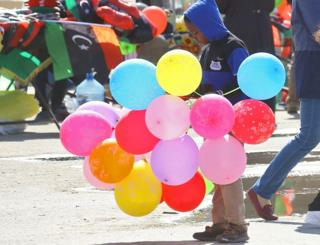 Image caption A boy sells balloons in the centre of Libya's capital, Tripoli, on Saturday on the eve of celebrations to mark the eighth anniversary of the Libyan uprising. 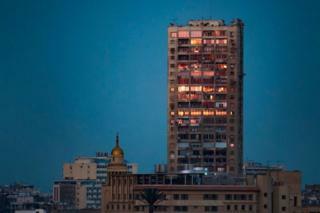 Image caption In neighbouring Egypt on Wednesday, the windows on this tower block catch the fading sunlight in the capital, Cairo. 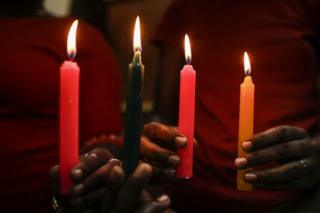 Image caption On Sunday, members of the LGBT-friendly Cosmopolitan Affirming Church in Kenya's capital, Nairobi, hold candles. 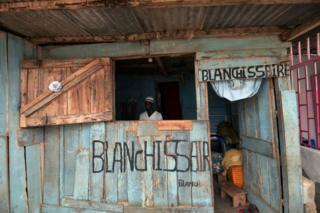 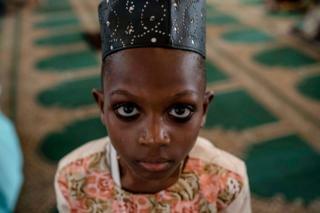 Image caption A man irons clothes on Tuesday at a laundry in the suburbs of Ivory Coast's economic capital, Abidjan. 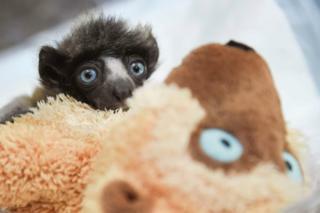 Image caption One of Madagascar's critically endangered lemurs, a crowned sifaka, is seen in a zoo in eastern France on Monday, cuddling up to a teddy bear. 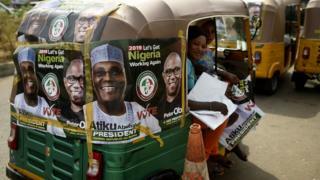 Image caption In the city on Monday, campaign posters for PDP candidate Atiku Abubakar and his running mate adorn rickshaws taxis. 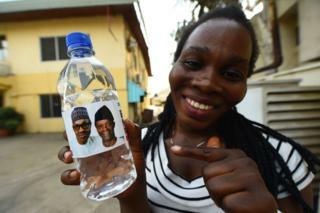 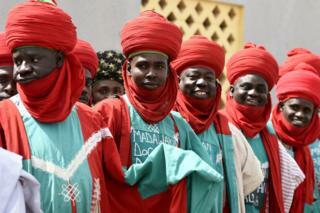 The delayed polls are now due to take place on Saturday. 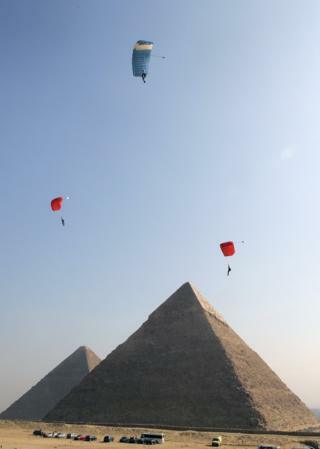 Image caption Paragliders sail over the pyramids in Giza on the second and final day of the Egypt Air Games on Tuesday. 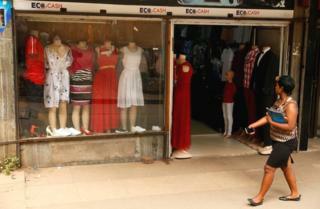 Image caption The next day, a woman walks past a shop in Zimbabwe's capital, Harare, that accepts EcoCash, a mobile money system used because of a chronic cash shortage. Image caption And inmates celebrate on Sunday with the newly crowned Miss Kodiaga Women's Prison in western Kenya - an annual event organised by an NGO.